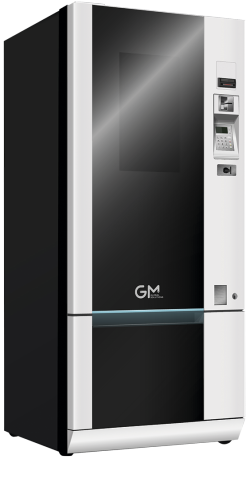 The UD universal dispensing machine range, the latest design by GM Global Solutions, offers the possibility of dispensing any type of product whatsoever. A solution intended for all types of products, ranging from snacks, soft drinks, office material, technology accessories, and special, top-of-the-range products. Its elegant, aesthetically pleasing design and its product selection touch screen open up a whole range of possibilities. The GMBOS telemetry application completes this product, allowing for the remote management of the data required for optimum stock management, perishable product traceability control, route organisation, price updates, fault alerts, etc. This solution features a 21″ touch screen which offers customers additional information on the products available for purchase and, at the same time, it is the perfect platform for direct impact advertising.